Mount Kilimanjaro and bucket lists are synonymous. We figure at least half of our climbers are bucket listing when they climb Kilimanjaro with Tusker. Some of their reasons are obvious – Kilimanjaro is an iconic beacon luring over 40,000 each year in a shared quest to hike to Africa’s rooftop. But there are more subtle and personal reasons why they choose to climb Kilimanjaro. They see it as a peak achievement. The intersection of climbing Mt. Kilimanjaro and thousands of bucket lists can be found on a map of an aging human heart. As some of us age and move beyond the world of work and child raising, we still feel the need to challenge ourselves. Travel is a good way to stay in the game with its opportunity to learn and to continue to grow. Kilimanjaro is one of the few places where we can test ourselves and reignite that sense of achievement. It requires us to stretch beyond our limits, and in doing so it keeps us invigorated. Equally important is that Kilimanjaro can be climbed and summited by most people who are fit and healthy. Larry Parman is one such Kili bucket lister. A retired attorney, Larry successfully summited after a fraternity brother challenged him to join a charity climb. He didn’t think he could pull it off, but he made the summit and on his descent in the rainforest fell and injured his shoulder. The pain was worth it because Kilimanjaro encapsulated his quest to remain vibrant in retirement. Bucket lists can be as trivial as turning your weedy backyard into a green oasis. It can be visiting the Louvre in Paris or photographing Machu Picchu at dawn. It’s a personal experience and no two buckets lists match up. 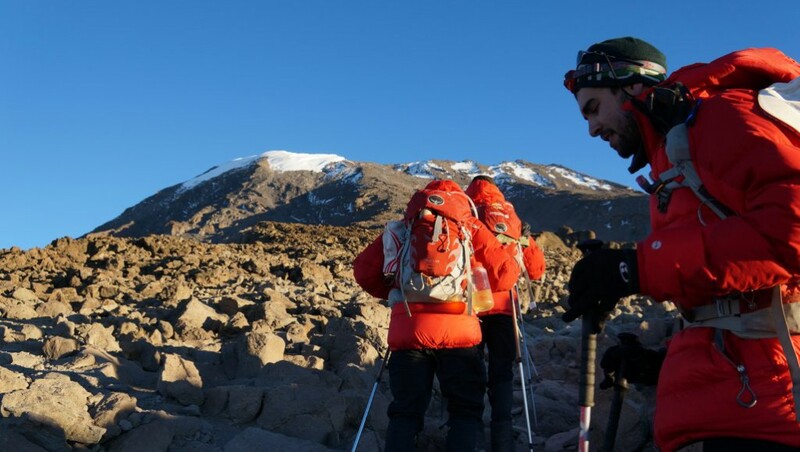 Kilimanjaro with its cradle of civilization roots, its challenging week long climb, its glaciated summit overlooking the sizzling African continent, is one of the few major mountain bucket list destinations that’s accessible to the average person. It’s as much mental as it is physical. If you’re adventurous and want something to stoke your eternal flame, then fire up your dream!